London is a treasure trove of date spots, but the trouble is, you’ve probably visited all of your regulars far too often. Which is why it’s a good idea to explore alternative date ideas in places like Chinatown London, which contains many of London’s top date spots you can use when you want to impress. In a city known for its sense of anonymity, everyone likes to feel like an insider. And with these alternative date ideas set within one of London’s most interesting areas, Chinatown London, you’ll have plenty to see, discover and discuss. If you’re looking for a date idea within 5 minutes walking distance of Leicester Square or Piccadilly Circus tube station, The Blue Posts pub is your winner. While the pub is 250 years old, its restoration is almost brand new – which means there’s a high chance your date won’t have visited before. We recommend starting with a craft beer or ale on the ground floor, which has all the familiarity of a good London pub. Next, head upstairs to The Mulwray; a sophisticated saloon bar where you can try a signature cocktail for just £6 during Magic Hour. If things are going well, move down to the basement where you’ll find your third stop; Evelyn’s Table. Half the seats at the L-shaped table can be booked in advance and half are saved for walk-ins, allowing you a front row seat to some of London’s best chefs at work. The food is modern European with an Italian influence, so you can share a bowl of Oxtail ragu with silky pappardelle or tuck into a plate of delicious cured trout. Impress your date with: an interesting fact; the basement and first floor are named after Faye Dunaway’s character in the film Chinatown “Evelyn Mulwray”. If for you, good food is one of the markings of a good date, you’ll want to slip down Wardour Street to Café TPT. 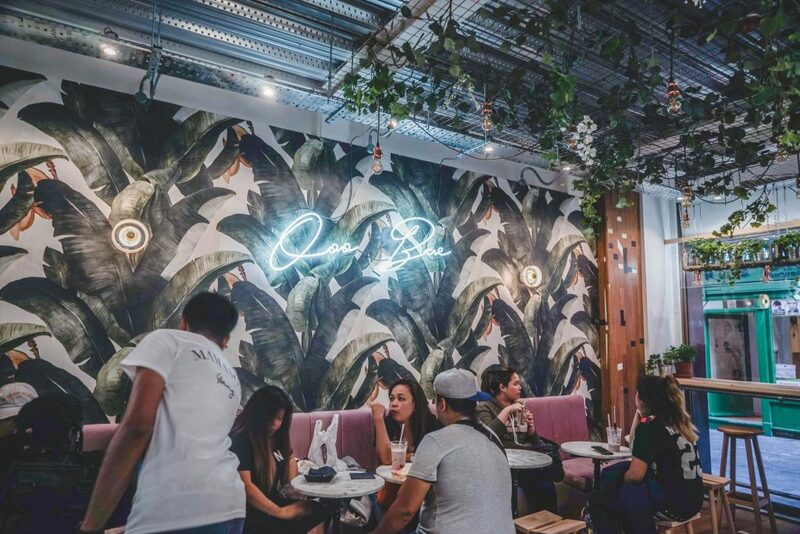 A humble interior belies just how good the street-style food is. It is first and foremost a café, but the meals served here are heartwarmingly delicious. From char siu pork with rice, to meat broths and plenty of seafood, from seabass to deep-fried crispy oyster and crab, it’s a date idea with a difference. Impress your date with: the phrase “Tai Pai Tong” which is Cantonese for ‘hawker’ and alludes to the dishes Cantonese street food hawkers sell in the heart of Hong Kong. Is there any date idea more intriguing than taking your plus one to a mysterious black door in one of the many streets of Chinatown London, and welcoming them into one of the city’s hottest speakeasy bars? That’s the Experimental Cocktail Club experience, or ECC as it’s known for short. Look for a paint-chipped black door on Gerrard Street and inside you’ll be rewarded with drink concoctions that pour with smoke, old fashioned cocktails concocted from vintage spirits and plates of cheese and cautercurie to mop up the excellent drinks. Impress your date with: knowing how to find it! You may want to do a dry run first. Look to the left of the Four Seasons restaurant on Gerrard Street. 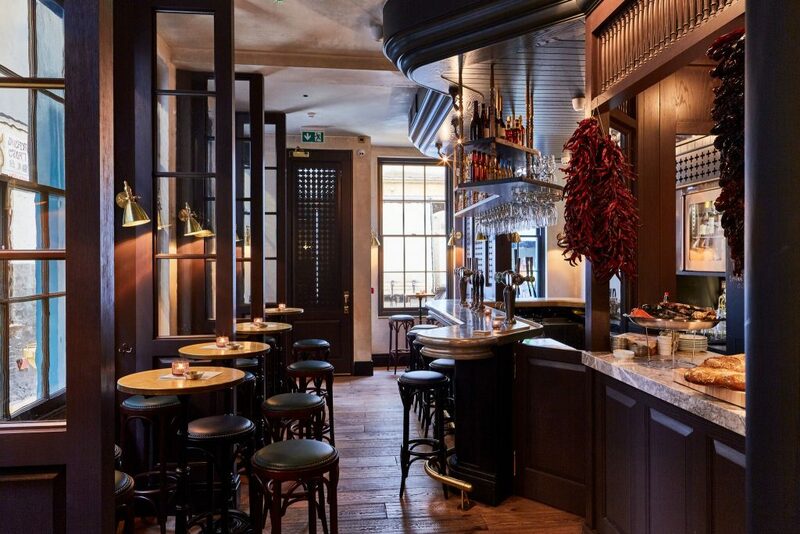 If you’re looking for an afternoon date idea, XU London offers the perfect alternative date spot. The Taiwanese teahouse and restaurant offers a choice of afternoon tea complete with sweet potato taro dumplings and steamed red bean buns, as well as lunch and dinner menus boasting options including traditional lotus crisps, Bak Kwa jerky and xian bing dumplings. The real pièce de résistance, however, is having the traditional tea ceremony administered by the Tea Master – and yes, sparkling tea cocktails can be included! 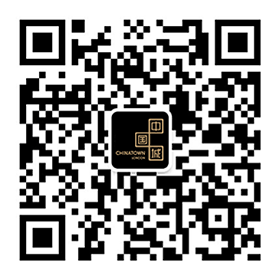 Impress your date with: a traditional game of Mahjong afterwards – XU London has its own Mahjong rooms that you can book in advance. 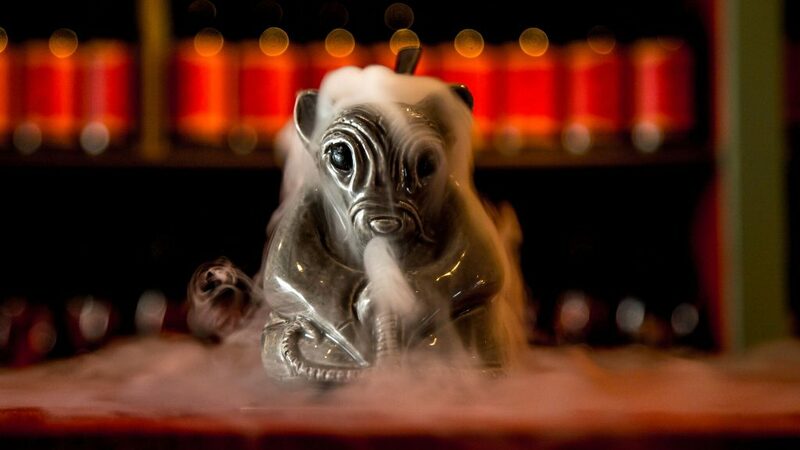 If you’re looking to incorporate cocktails and a light meal then Opium London is a great London date idea. Tucked away from the main drag of Chinatown London, there are three bars to choose from: Peony, Apothecary and Academy, all of which, have a slightly different flavour. At the Apothecary you can sit at the bar and order your own potion mix from the wall of medicinal bottles, which offer up particularly potent spirits. Academy shows you what an old Chinese family lounge might look like, while you sip on a traditional Martini. And lastly, Peony is considered the most romantic room; it’s incense-infused interior is ideal for a cosier date filled with dim sum and cocktails served in teapots. Impress your date with: ordering the dim sum platter, which will make for great conversation – even if you can’t use the chopsticks. 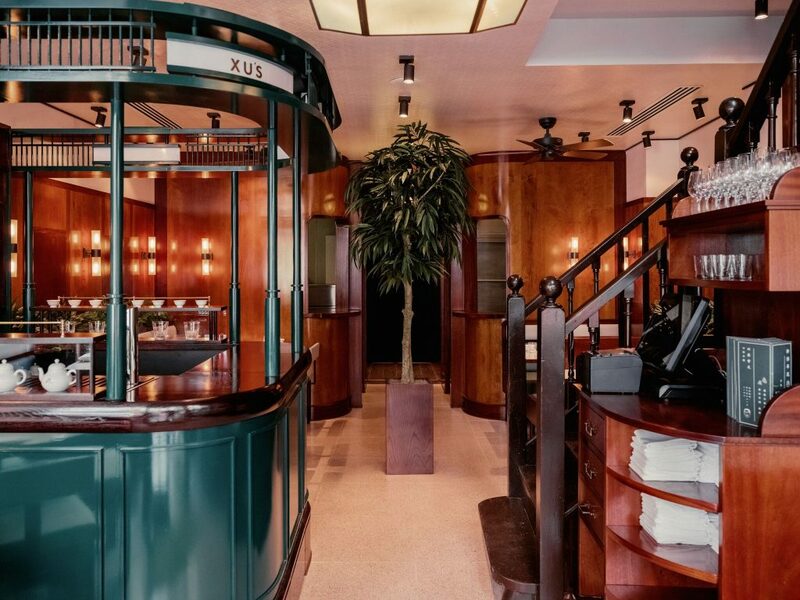 Meat lovers, meet your dating paradise with a table at Olle. 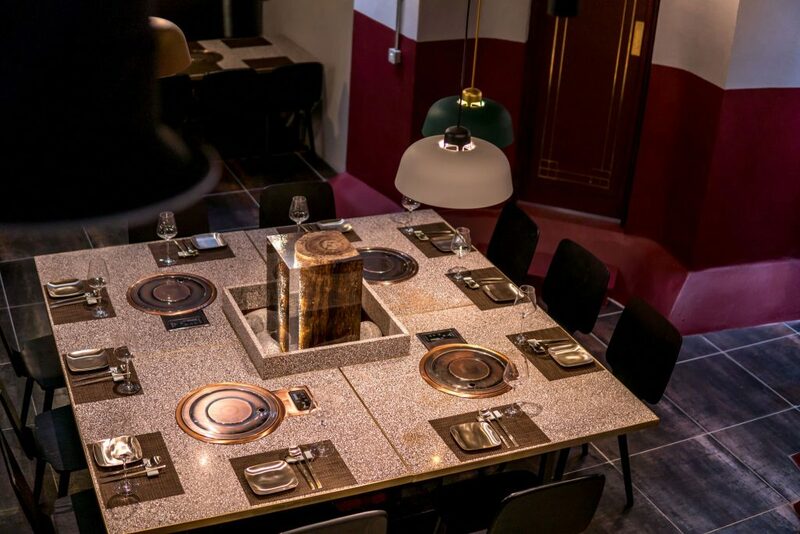 This DIY Korean BBQ joint lets you chat over your own tabletop stove, which is great for those dates where you want some conversation starters. The staff kindly do the barbecuing for you, leaving you to sit back, relax, chat and enjoy the show. Just don’t talk so much that you forget to marvel over how wonderfully tender their wagyu beef is – the most flavoursome in town! It’s super stylish with sleek stoneware and teal finishes, and you get to watch the world go by on busy Shaftesbury Avenue outside. If your date idea is a stroll through Chinatown London, it’s likely you’ll end up in Newport Court at some point. Known locally as “dessert alley” this is a hotbed of different desserts from all over Asia. The latest of which, Mamasons Dirty Ice Cream, makes for a perfect date idea hotspot. Mamasons is a Filipino ice cream parlour which serves traditional Filipino street snacks like ‘bilog’, a toasted bun filled with ube, coconut or milk ice cream; as well as traditional cones like black buko (coconut charcoal) and Milo (malted chocolate). The parlour is beautifully designed and worthy of lingering while you eat – or you can wrap up the snacks to go. Impress your date with: ordering the Black Buko, jet black ice cream made from the flesh of an unripe coconut and known for its superfood charcoal properties. 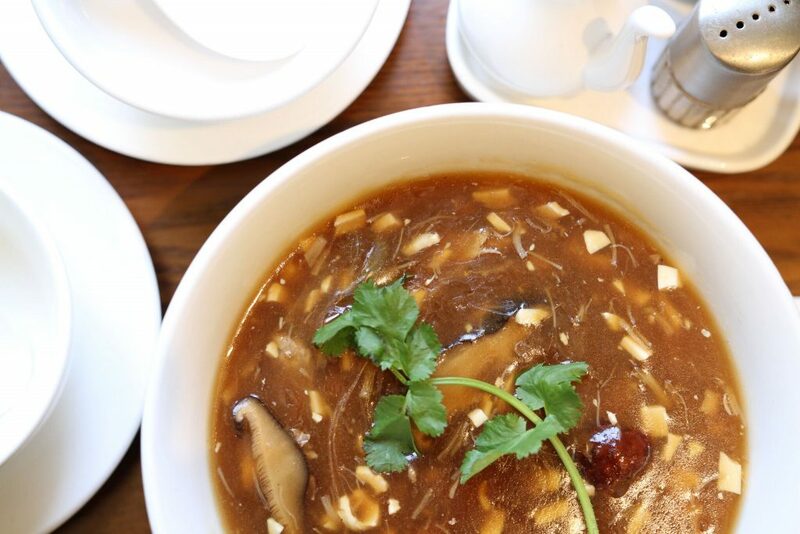 For more alternative date inspiration, follow our daily posts @ChinatownLondon.